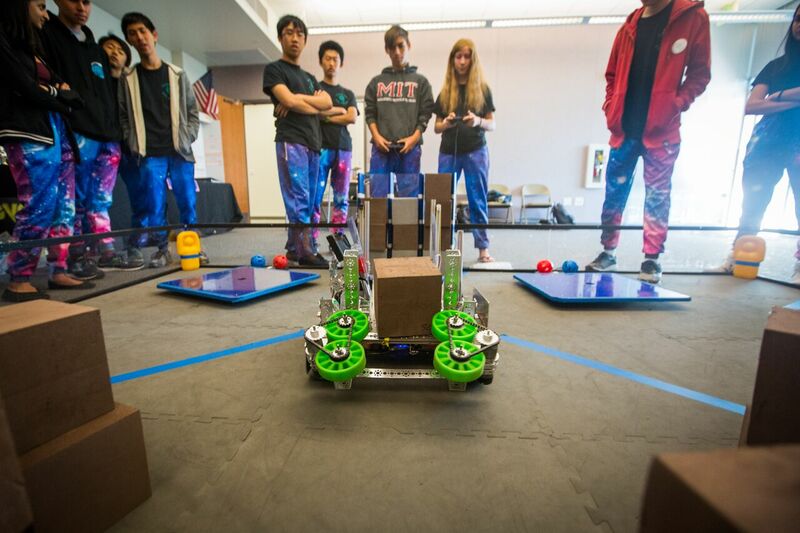 CARLSBAD —Two of the best and brightest robotics teams are ready to face some stiff competition. The Sage Creek High School robotics team, along with the Valley Middle School team, is heading to Houston from April 17 to April 21 to compete in the First Tech Challenge, while Valley is competing in the First Lego League. However, the Sage Creek students are scrambling to raise $20,000 needed for travel expenses to the competition. In addition, they just recently were granted permission by the Carlsbad Unified School District board of trustees to travel. Still, the students are excited and preparing to put their best robot forward. 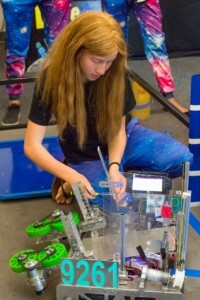 The Bobcats’ robotics team submission focuses on hardware and software development to command a robot to perform specific tasks. The team was awarded a bid to the competition via a lottery, since they placed outside the automatic berths during the regional competition. Still, the team collected several impressive awards, winning the Inspire and Think awards, two prestigious recognitions through the 25-week season, to garner a berth. In total, the students have committed 8,000 hours to this year’s challenge. 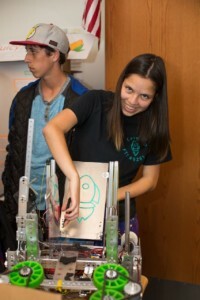 This season, the robot must collect a number of foam cubes and other objects in the course. The cubes must be stacked, sometimes in a pattern, along with the other objects in the fastest time possible. In addition, the teams are also judged on their business acumen, as they keep detailed records including a business plan, finances design process, how the robot has evolved and the math incorporated into their project. Sophomore Cole Savage, 16, leads the software programming, while 17-year-old seniors Andrew Liang and Chris Suzuki were the design and hardware leads, respectively. Savage said the programming includes automation and machine learning, in addition to manual controls. The robot is programmed to move in any direction, while the machine learning assists with course corrections. Junior Emily Howard, 16, is one of the co-captains and is in her first year on the team. Robotics has always been an interest, but as an admitted introvert, it also provides a social outlet. Still, there are numerous girls on the team, as science, technology, engineering and math (STEM) programs are increasingly popular in schools. In total, Sage Creek has three teams with about 60 students participating. Five of the team’s seniors have also won scholarships during the course of the season. The qualifying squad, dubbed Level Up 9261, is the first-ever robotics team from Carlsbad to qualify for the First Tech Challenge world competition. With the late start in fundraising and a marketing campaign, the team is racing against the clock to solicit donations. Currently, they have raised about $10,000 through donations from corporate sponsors and are working with the Carlsbad Educational Foundation to write a grant through the city of Carlsbad. Even with the grant, the team will be about $10,000 short, so they started a crowdsourcing campaign through the foundation.